The day has come to take your website live! You researched the market, spent money on designing a killer website specifically for your industry, and are ready to jump in with both feet. The excitement grows steadily until you decide to sign up for Google AdWords, and are presented with a $ 10 minimum bid charge. That was not at all what you expected, and suddenly you wonder if you made the right decision. Is the cost not a bit excessive? 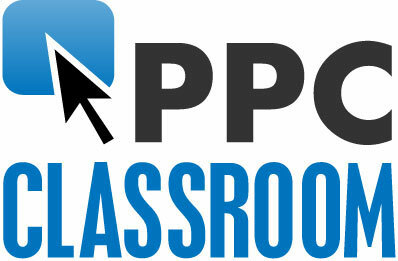 AdWords is Google’s pay-per-click advertising system. This online advertising source is quite popular, as it allows its users to create and run their business ads, quickly and easily. AdWords advertising can be quite effective, and generate high quality traffic. All you have to do to guarantee success with AdWords is to remember to use the top keywords of your industry, and stick to a few simple rules. Successful ‘bidding’ is all about strategy and visibility, because Google rewards the sites that are relevant. In fact, based on the algorithm of its Googlebot software, this key search engine will penalize sites that seem irrelevant to them. Consequently, to avoid expensive penalties, you will have to make these web crawling robots your friend! The recommended strategy you should use to make your website relevant to Google consists of three parts. With your keywords all neatly organized in groups, it will be much easier for you to write your ads. Remember, Google loves keywords, and so do the searchers. Using the right keywords is an essential requirement if you want to lower your minimum bids. For the sample ad we used in this blog, this would mean that if an internet user types in ‘discount laptops’ in a search, the words ‘discount’ and ‘laptops’ would appear in bold throughout your entire ad. Landing pages without keywords are doomed. Searchers, as well as Googlebots, look for keywords on all of your pages, especially your landing pages. Just make sure that your supporting content stays on topic, your landing page articles are attractive, and you follow the general SEO rules. 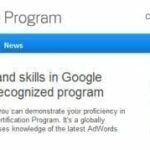 Using keywords on landing pages is a technique that will help boost your ‘Quality Score,’ which in return, will lower the cost of your minimum bids Of course, to increase your Quality Score you will have to know what it means. 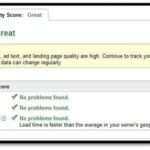 Knowing your Quality Score is vital, because if you can improve the results, and increase your score, you will lower your cost-per-clicks (CPCs), and improve your ad’s position. Aside from keyword click-through rates and ad relevance, other factors, such as historical keyword performance, the quality of your ad’s landing page, will influence your score. Quality Scores are rated on a 0-10 scale. The higher your click-through rate (CTR), the higher your Quality Score. To improve your score you will have to refine your ad. Play around with different ad titles, and your web design‘s call-to-action elements. Average CTR scores lay around 1-2%, however professionally managed campaigns tend to be 3-5%. Once you have increased your CTR and quality score you will notice that the amount you are paying per click is gradually going down. Check your results every few days, because you will also have to make sure that while you are reducing the bids your CTR remains strong. Be consistent and before long, your AdWords campaign will be a huge success, and your minimum bid cost manageable.